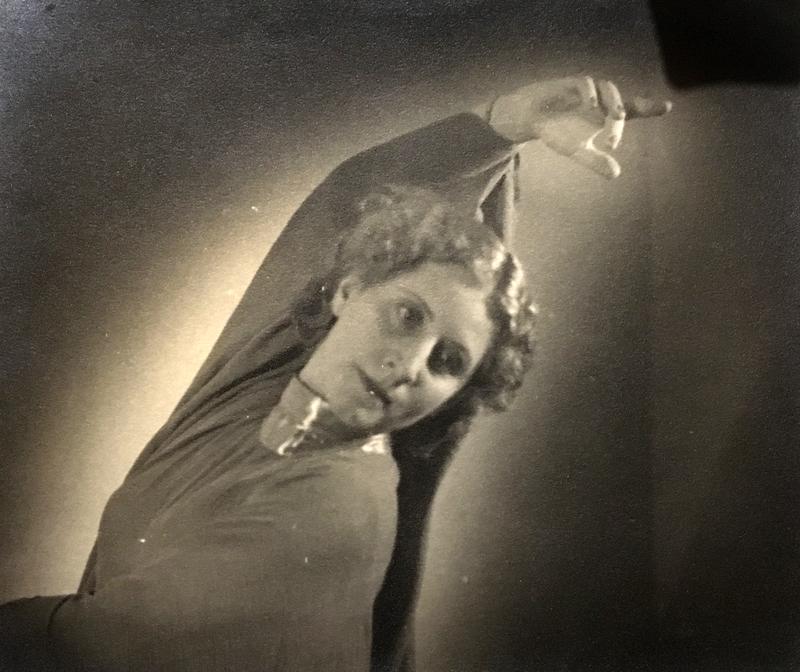 Hilde Holger performing „Engel der Verkündigung“ in Bombay in 1941. Hilde Holger Archive © 2001 Primavera Boman-Behram. All Rights Reserved. In Bombay, the community of exiled artists was small and diverse. As well as painters, there were composers, scenographers and performing artists. Hilde Holger (1905-2001) was a dancer, choreographer and teacher. In London I spent two days with her daughter, Primavera Boman-Behram, who manages Holger’s archive as well as the website http://hildeholger.com/. Together, we spent hours looking through papers, images and artefacts—including beautiful silk costumes—and talking about what they meant. Much of what follows draws on that archival material, and on our conversations. Hilde Holger began her long dance career in Vienna. 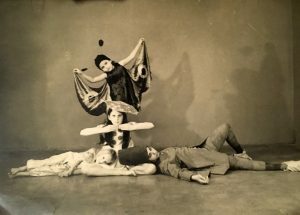 As a student and later as the principal dancer of the expressionist choreographer Gertrude Bodenwieser, she was at the cutting edge of modern dance. As well as touring Europe with Bodenwieser’s company, she established the New School for Movement Arts in the centre of Vienna in 1926. After the Nazi annexation of Austria in 1938, and the subsequent closure of her dance school, it was clear that Holger, who was of Jewish descent, would have to leave the country. With the support of her Viennese friend Carl Petras (also Charles Petrasch) she fled to Bombay, arriving there in the summer of 1939. When putting together her shows, Holger collaborated with local musicians and artists, as well as artists from the exile community. 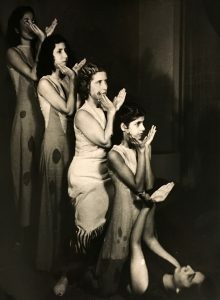 The costumes and sets of the “Three Enchanting Ballets” performed at the Capitol in 1943 were designed by the exiled painter Magda Nachman (Acharya) and Shiavax Chavda, an artist who studied at the J.J. School of Art in Bombay and Slade School of Art in London, and was briefly associated with the Progressive Artists’ Group in Bombay. Carl Petras worked as an occasional photographer and manager. Holger also connected with, and on occasion worked with, the Indian dancers Ram Gopal, Uday Shankar, Menaka and Rukmini Devi. "Russian Fairytale" performed in Bombay by students of the School of Art for Modern Movement. 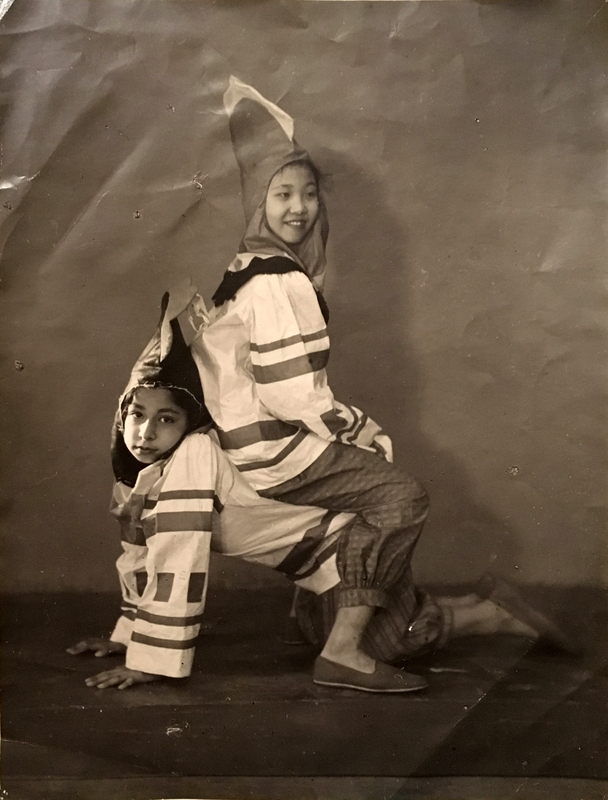 Costumes by Magda Nachman. Hilde Holger Archive © 2001 Primavera Boman-Behram. All Rights Reserved. In October 1941, Holger established the School of Art for Modern Movement. It was located on the second floor of Queen’s Mansion, a residential building constructed in 1902 on Prescott Road in the historical centre of Bombay. 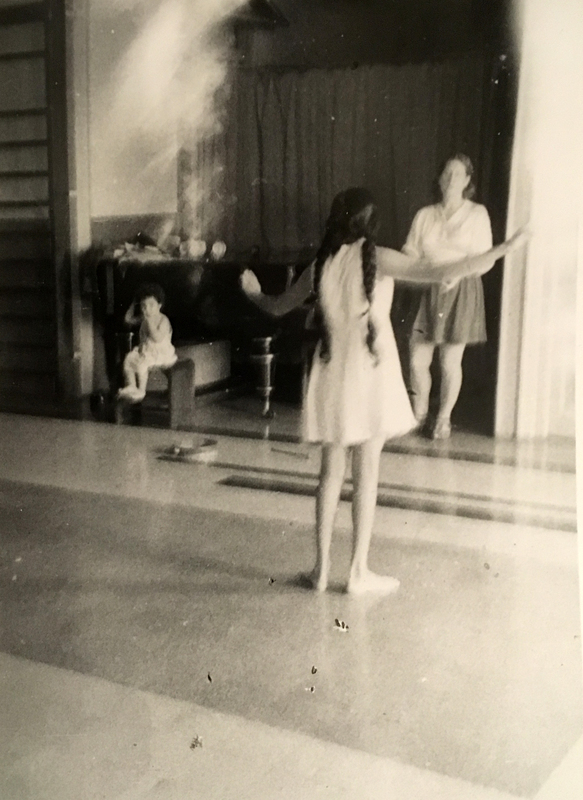 According to her own brochure, Holger’s school was “the foremost professional European School for Creative Dance and Contemporary Ballet in India.” Because she was concerned that her school would be mistaken for a brothel, which was apparently a real possibility, “only Ladies and Children” were admitted. Holger struggled throughout her time in Bombay to establish a sustained interest in European forms of dance. Her school attracted students mainly from Parsi and Anglo-Indian communities, with a smaller number from Chinese and Hindu backgrounds. She also taught dance as part of the New School for Girls’ physical education curriculum. This school, like all of the other venues mentioned here, was within short walking distance of the School of Art for Modern Movement. India’s independence in 1947 was accompanied by communal violence and large-scale population movements, as Hindus fled Pakistan and Muslims escaped India. Holger, who had lost much of her family in the Holocaust, including her mother, sister and step-father, decided to leave Bombay. In 1948 she migrated to London with her husband Adi Boman-Behram, and her two-year-old daughter, Primavera. There she quickly established the Hilde Holger School of Modern Dance, first in Hampstead, and a few years later in Camden Town. Among her many students was Lindsay Kemp, who went on to train David Bowie and Kate Bush. Thank you to Primavera Boman-Behram for taking the time to go through the archival material with me, for sharing her memories, and for allowing me to publish the images from her archive. Holger, Hilde. ‘Dance Teacher in India’. Dance, September 1946. Lupus, Krishna. ‘A Heroine in Our Midst’. BLITZ. 27 March 1948. Performance of "The Selfish Giant" in Bombay, 1943. Hilde Holger Archive © 2001 Primavera Boman-Behram. All Rights Reserved. “Orchid” to music by Ravel. Hilde Holger Archive © 2001 Primavera Boman-Behram. All Rights Reserved. 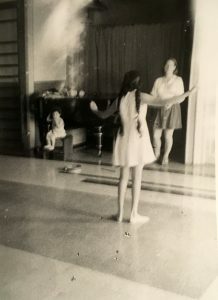 Hilde Holger teaching a student in her Bombay studio. Hilde Holger Archive © 2001 Primavera Boman-Behram. All Rights Reserved.